Seriously, what was going on in the 1980’s to create videos (and a lot of them) like this? Who knew insects could be art? Check out a video of Duprat’s larvae in action here . Read up on Duprat’s work on Cabinet Magazine Online here. I love the simplicity, but the undeniable amount of thought and good idea put into every design is wonderful. The corner picture frames and the table cloth, table shirt are ingenious. And I think we all could use a linen pillow with an integrated kleenex dispenser, “for all teardrops caused by your romances, lovesickness, hayfever…” Oh, and I would DIE over having the MT-USB (Mix Tape USB). ugh. Don’t you love good design? 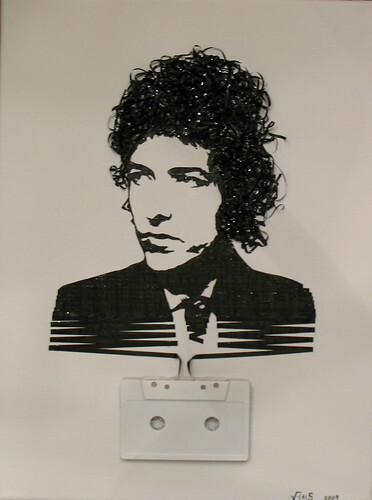 Cassette tapes are a dying form of recording technology if not dead already. 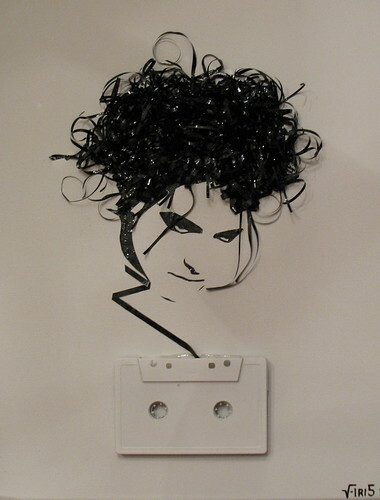 But flickr user iri5 decided to make use of the tangled reels and create original art. Check out iri5’s flickr photostream here. Look Around You, For Science! I was a really good student in grade school. However, I failed to grasp the fascination of science and math. In my opinion, science and math is like music or art – certain people can apply. Others (like me) don’t have the skill/finesse/interest to “get” it. But if my science teacher popped in a VHS of “Look Around You” in which we’d examine the magnetism of sulphur, and that the largest number in the universe is 45,000,000,000, shoot, the education would have taken me down a different path. I probably wouldn’t have a job. 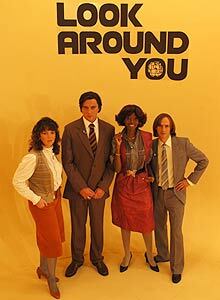 Write this down: Look Around You airs randomly on Adult Swim (TV-PG) and Seasons 1 and 2 are available on DVD. Be sure to test your new knowledge by taking quizzes on BBC’s Look Around You website. Check out my favorite subject examined: Music. My friend Emily introduced this blog Cakewrecks to me. “When Professional Cakes Go Horribly, Hilariously Wrong” the motto states. Blogger Jen has a team of “Cakewreckers” all around the nation who send pictures of cakes or CCC’s (Cupcake Cakes) that are either too gorgeous or too disturbing to eat. Jen’s commentary on the photos are pretty hilarous. It’s better than watching a Food Network Challenger’s 6-hour $10,000 prize gourmet cake crash to the floor. Mmm… cake… I indulged myself in an eclair last night and I feel pretty good because I wasn’t able to finish it!